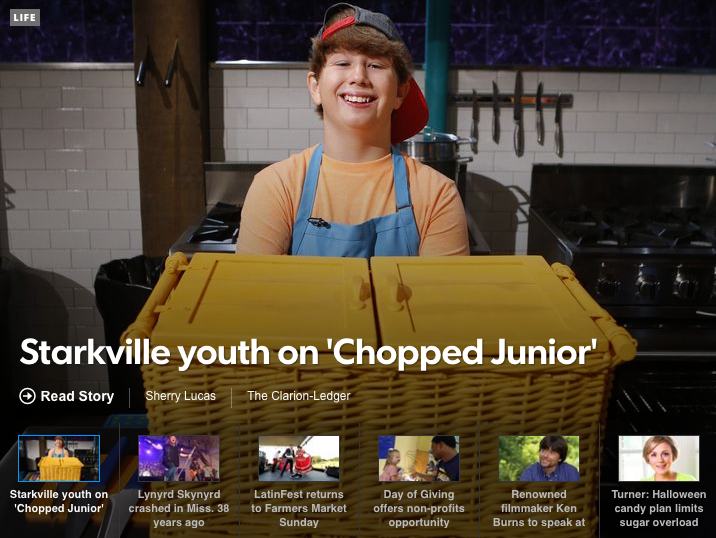 Mark Coblentz, 12, of Starkville, stirs up TV interest in the Food Network’s latest spin-off series, “Chopped Junior” this season. The new series, which premieres at 7 p.m. Oct. 27, pits junior chefs ages 9 to 15 in competition for the Chopped Junior Champion title and a sweet reward of a $10,000 prize. The show, hosted by Ted Allen, calls on competitors to turn a mystery basket of ingredients into a cohesive, tasty and well-presented dish. Mandatory mystery ingredients range from pickled pigs feet to tofu to birthday cake. Mark’s episode will air Nov. 10.